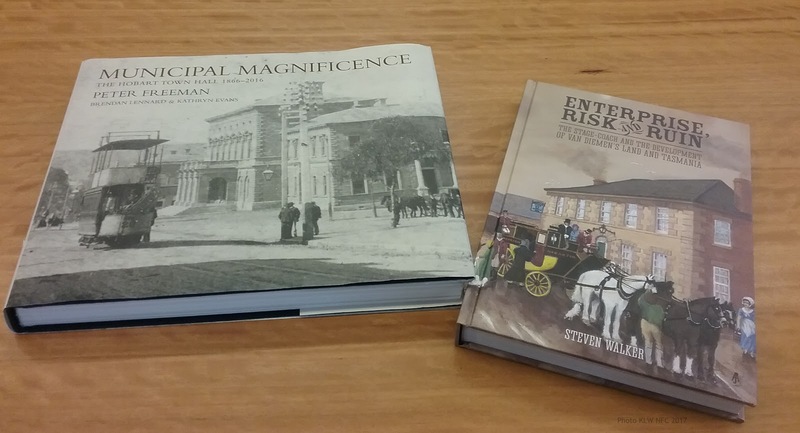 Local Hobart publishers produced these two books in 2016 which included photographs directly related to the working life of photographer Thomas J. Nevin during the 1870s as both government contractor and civil servant with the Hobart City Corporation. 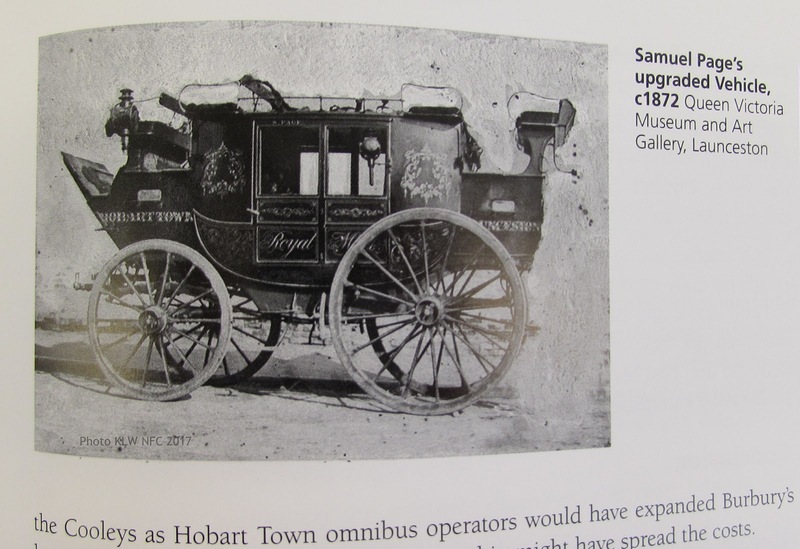 Top: page 199 of Enterprise, risk and ruin : the stage-coach and the development of Van Diemen’s Land and Tasmania which features a photograph taken by Thomas J. Nevin of Samuel Page’s Royal Mail Coach. 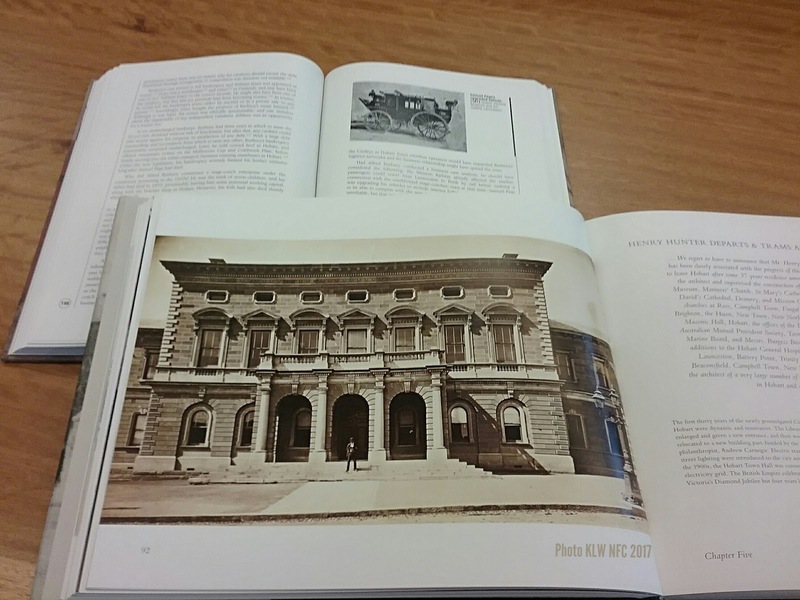 Bottom: page 92 of Municipal magnificence : the Hobart Town Hall 1866-2016 which features a photograph of the Keeper of the Town Hall, Thomas J. Nevin standing astride the front steps on Macquarie St. ca. 1880. 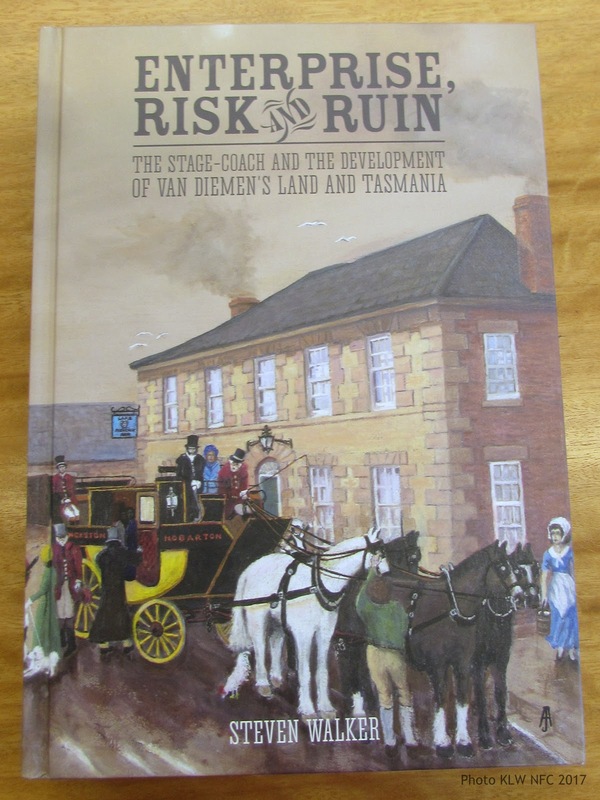 Page 199 of Enterprise, risk and ruin : the stage-coach and the development of Van Diemen’s Land and Tasmania which features a photograph taken by Thomas J. Nevin of Samuel Page’s Royal Mail Coach. 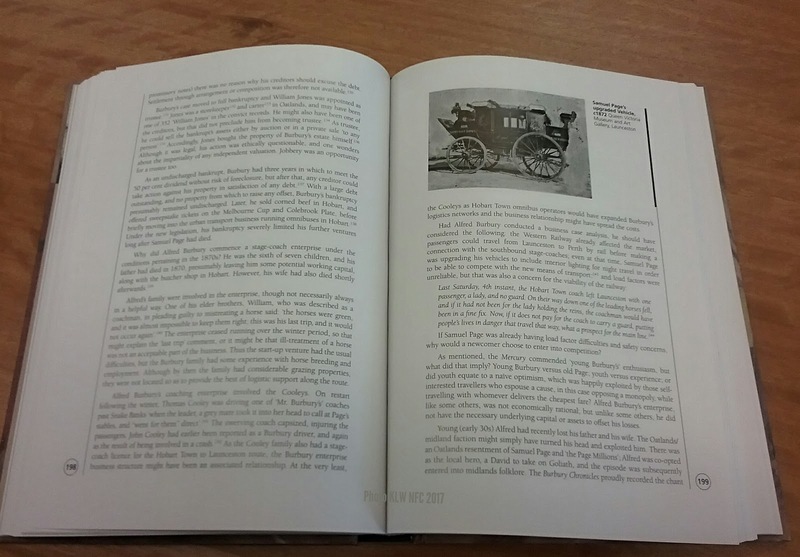 Chapter 8 of this very informative book covers the history of Royal Mail coach operator Samuel Page, and on page 179 mentions the bizarre coincidence of another man by the name of Samuel Page who operated coaches in the Huon in the same time frame. 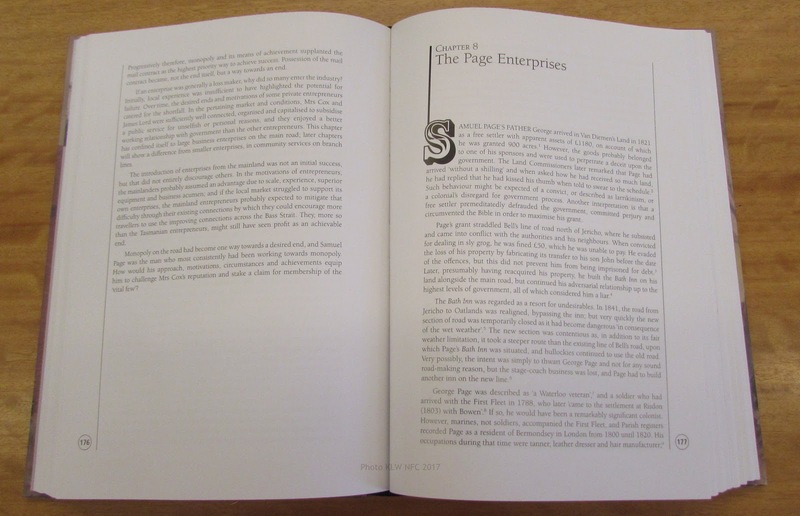 Pages from Chapter 8 of Enterprise, risk and ruin : the stage-coach and the development of Van Diemen’s Land and Tasmania re Samuel Page. 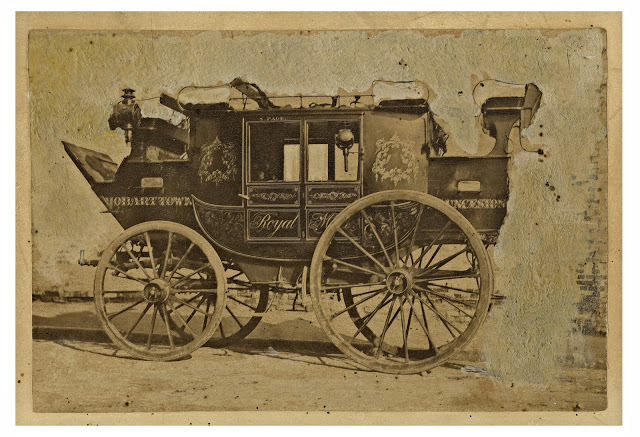 This photograph may not be the only one taken by T. J. Nevin of Samuel Page’s coach line, as earlier researchers in the 1980s noted that several trade advertisements by Nevin were extant in public collections. 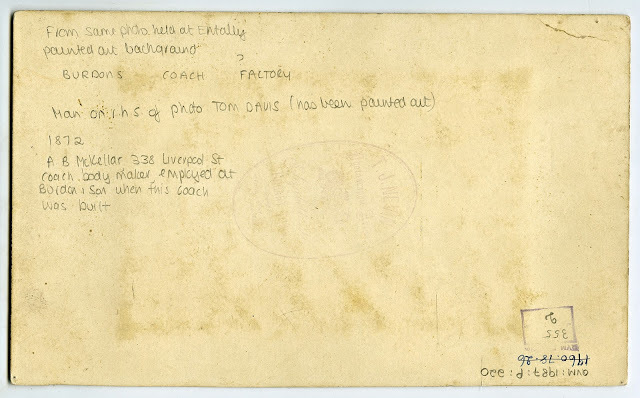 Strictly speaking, this was taken for government services rather than as an advertisement for Burdon’s or Page’s business interests.The verso notes suggest that either the untouched original was held at the property called “Entally” or that it is a copy of the same photo held at Entally which had been altered to eliminate the figure of Tom Davis. The area to the viewer’s right of the coach bears clear evidence of a man’s figure painted over. Tom Davis was employed at Burdon’s in Argyle Street as a coach painter. 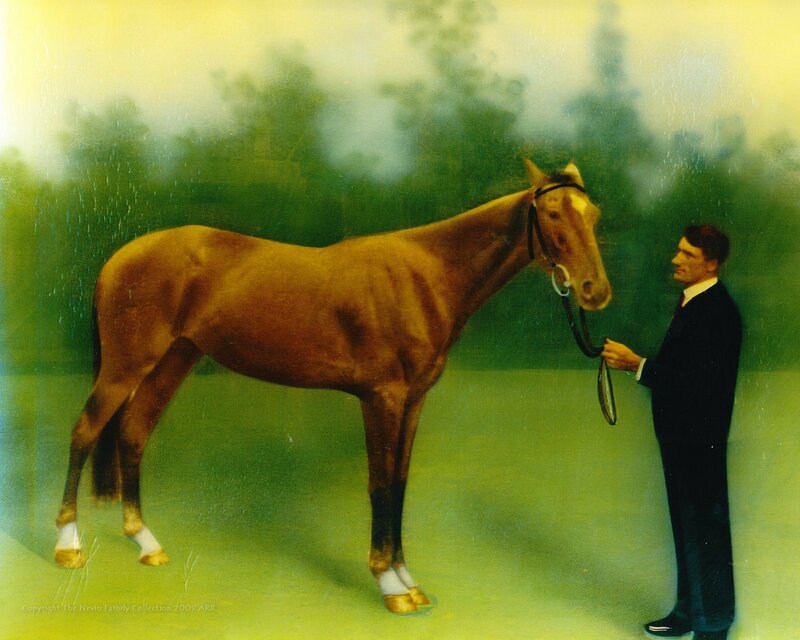 Above: this is the original photograph by T.J. Nevin with the figure of Tom Davis and Burdon’s company name painted out (QMAG Collection Ref: 1987_P_0220). Tom Davis was a coach painter. The verso bears T. J. Nevin’s Royal Arms insignia stamp used for government commissions, in this instance for the Royal Mail coach. Below is the original photo by T.J. Nevin with the figure of Tom Davis and Burdon’s company name visible (TMAG Collection Ref: Q1988.77.480). 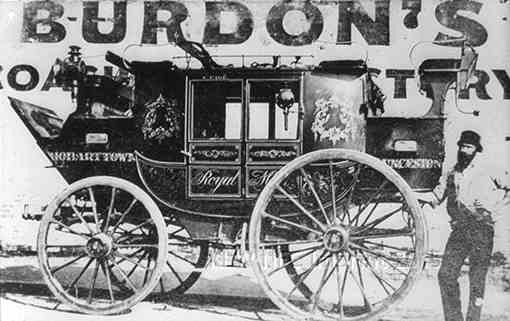 The photo was taken in 1872, the date of the coach’s manufacture by A. 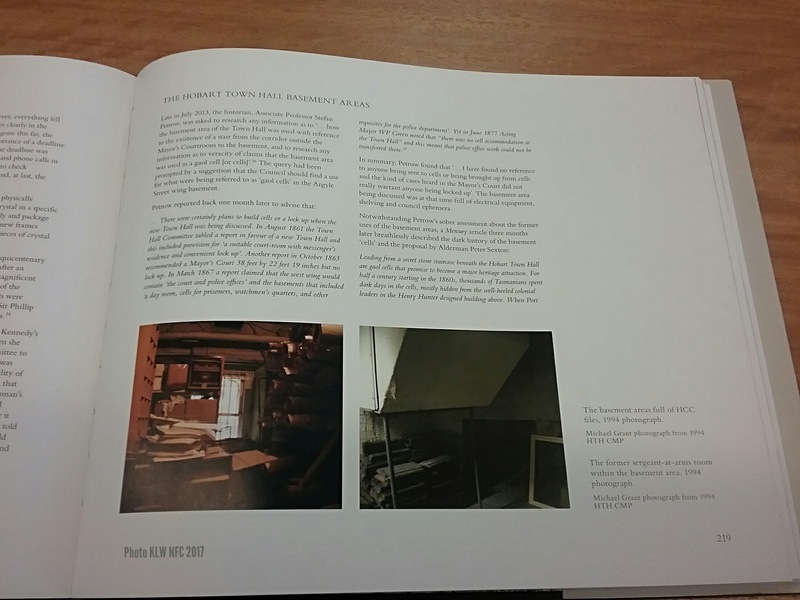 B. McKellar when the finishing touches were applied by Tom Davis, photographed here in shirt sleeves, standing proudly next to his fine calligraphic design work at right of image. 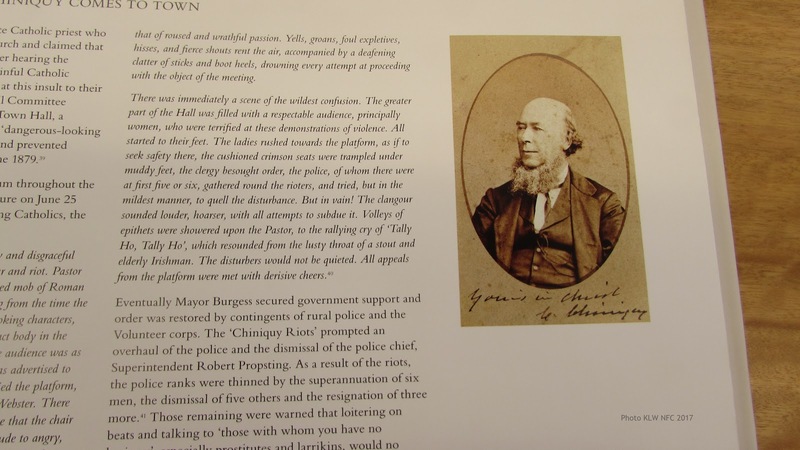 Thomas Nevin photographed the Gregsons brothers at the Municipal Police Office, Hobart Town Hall, on February 18th, 1874 after arrival from Launceston when arrested. 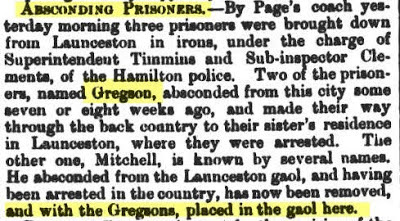 Read more about the arrest of the Gregson brothers here in this article. 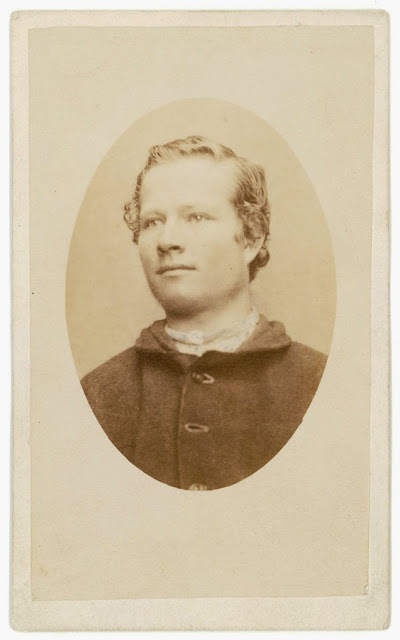 Commercial photograph and government contractor Thomas J. Nevin was appointed above 23 other applicants to the position of Keeper at the Hobart Town Hall in 1875. Prior to this full-time position in the civil service, he held contracts with the Colonial Government’s Land and Survey Department and Prisons Department on the recommendation of his family solicitor, the Hon. W. R. Giblin, Attorney General and Tasmanian Premier. 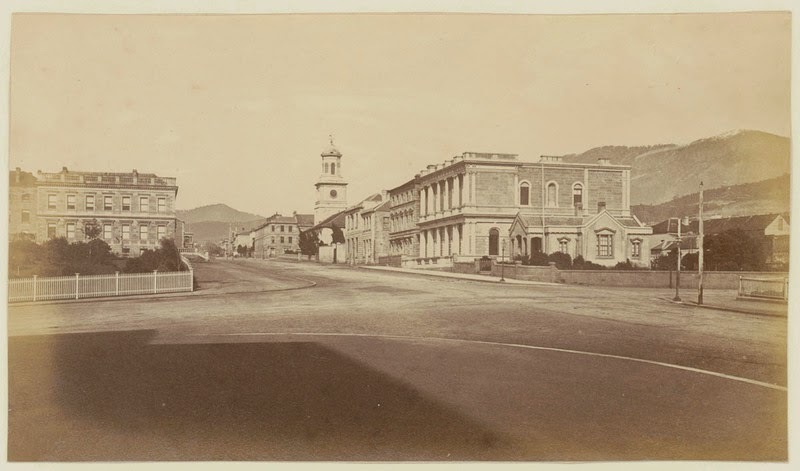 From January 1876 to December 1880, photographer Thomas J. Nevin was both Hall Keeper and Office Keeper for the Mayor’s Court (Mercury 1st January1878) and the Municipal Police Office, each housed under the one roof at the Hobart Town Hall with cells in the basement. 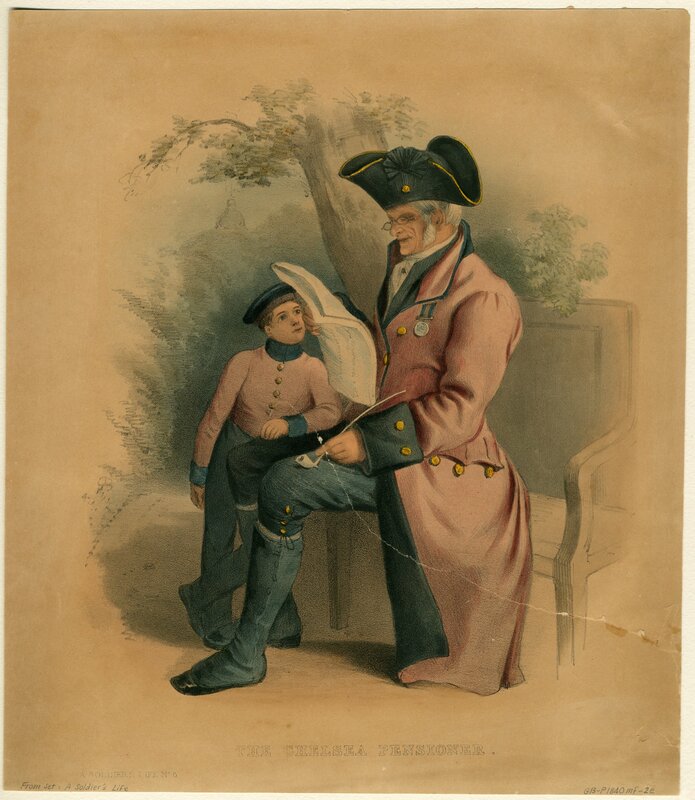 His duties ranged from supervising inebriated constables on night watch, making sure the chimneys were swept, maintaining the grounds and watering the trees out front to preparing the Hall for exhibitions, lectures and concerts, and for keeping police photographic records taken by him of prisoners at the Mayor’s Court and MPO current with those taken at the Hobart Gaol, mostly with his brother Constable John Nevin. In 1879, Thomas J. Nevin was made Special Constable during the visit of the Canadian renegade Catholic priest, Charles Chiniquy. 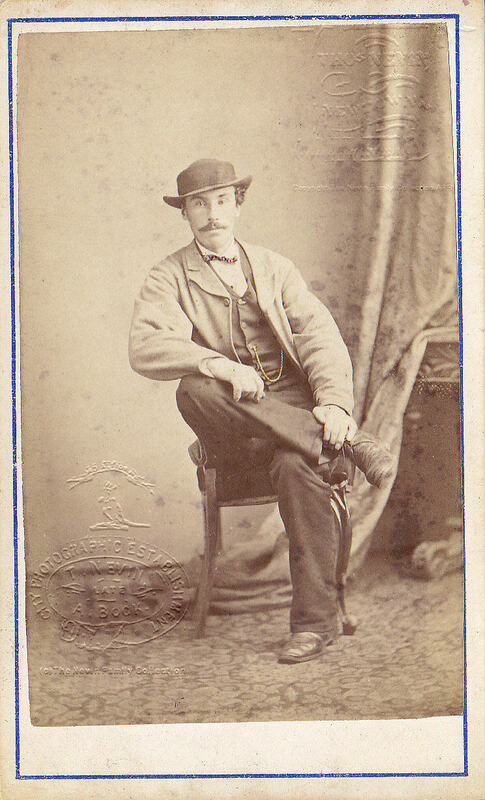 Freeman et al include a carte-de-visite of the man (Bardwell Studio ca. 1880) and an account of the “riots” during Chiniquy’s visit to the Town Hall on page 87, yet no mention is made of the Special Constables, nor indeed of the Town Hall Keeper himself during the years of Nevin’s incumbency. 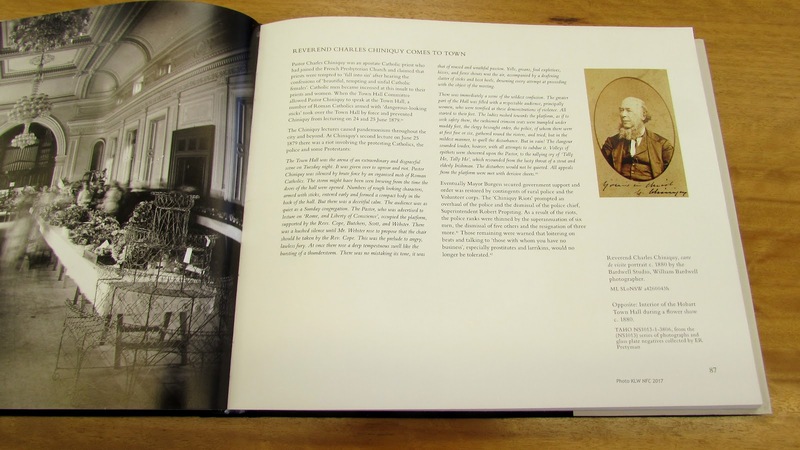 Omitted too is any indication among the multitude of plans and architectural designs of the whereabouts of the Keeper’s residence. Thomas J. Nevin, his wife Elizabeth Rachel Nevin and their two children born before 1875 – known to descendants as May and Sonny – arrived there at the Hobart Town Hall as their new home in 1876, and by 1880, three more children had been born there, two of whom survived to adulthood – William John and George Ernest Nevin – and one who lived less than four months, Sydney John Nevin. 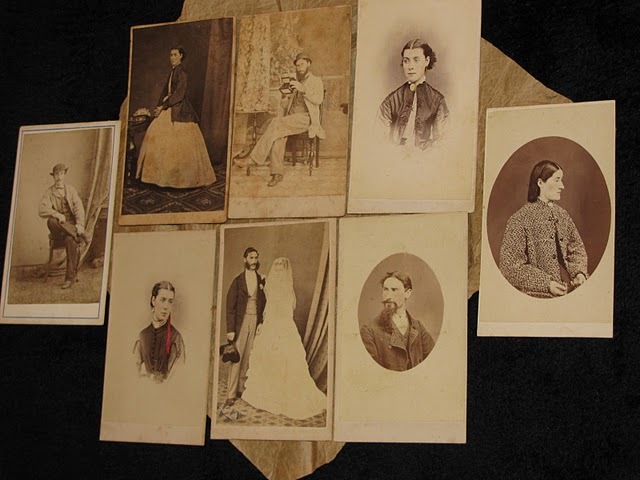 These five children with their parents Thomas and Elizabeth Nevin were housed at the Hobart Town Hall between early 1876 and late 1880, a fact mentioned in the police report regarding Nevin’s alleged involvement with the appearance of a “ghost” frightening the girls of Hobart Town in 1880. Two more were born after 1880 when Thomas Nevin resumed photographic practice at his New Town studio. 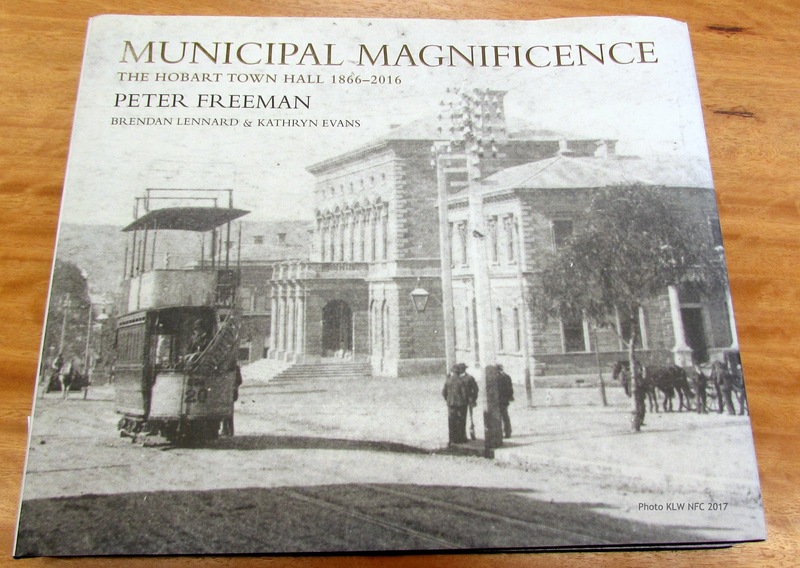 A very questionable omission in this book is information from authentic historic sources regarding the presence of the police and their operations in the Hobart Town Hall during the 1870s, the years of Thomas Nevin’s residency as Office and Hall Keeper. The Hobart Municipal Police Office was housed on the right-hand side as the visitor enters the building from the Macquarie Street entrance, and the Mayor’s Court was housed on the left hand-side down the corridor past the office of the present Keeper. 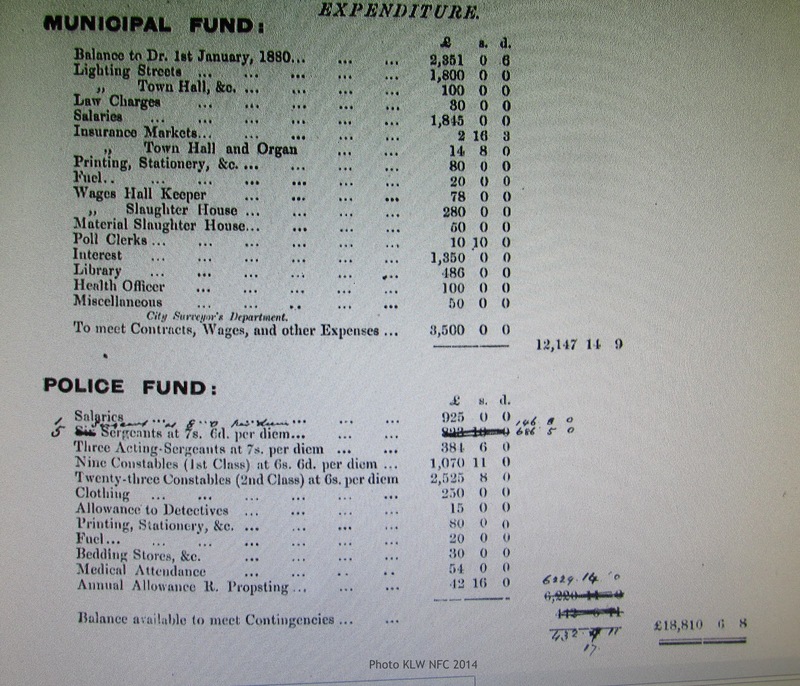 Thomas J. Nevin was paid £78 for the year 1879 as Town Hall Keeper. He received an allowance for the residence – “30 shillings per week with free quarters, fuel and light” (Mercury, 29 December 1875). 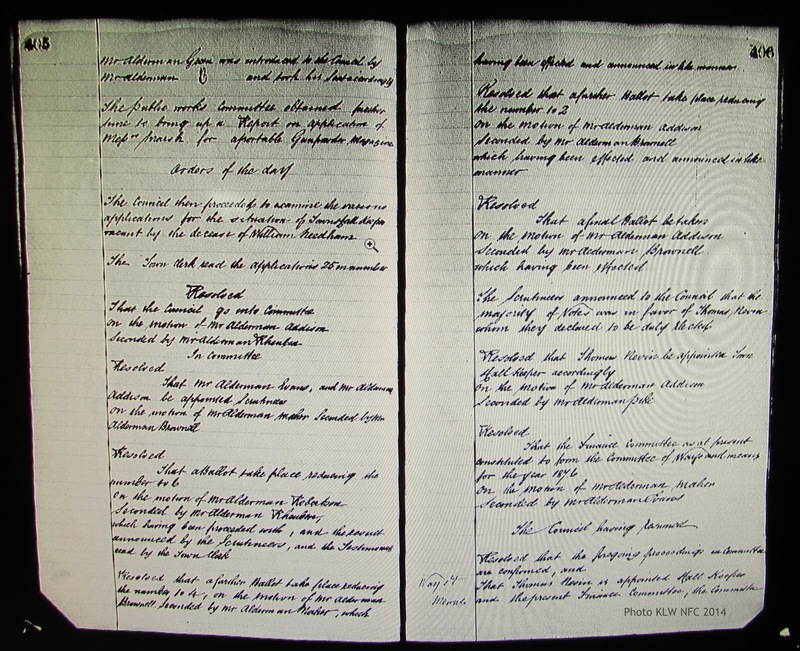 He was also paid out of the City Surveyor’s Department to meet photographic contracts held since 1872 to provide visual documentation for changes in landscapes (eg. the Glenorchy landslip, the waterworks, rock formations on Mt. 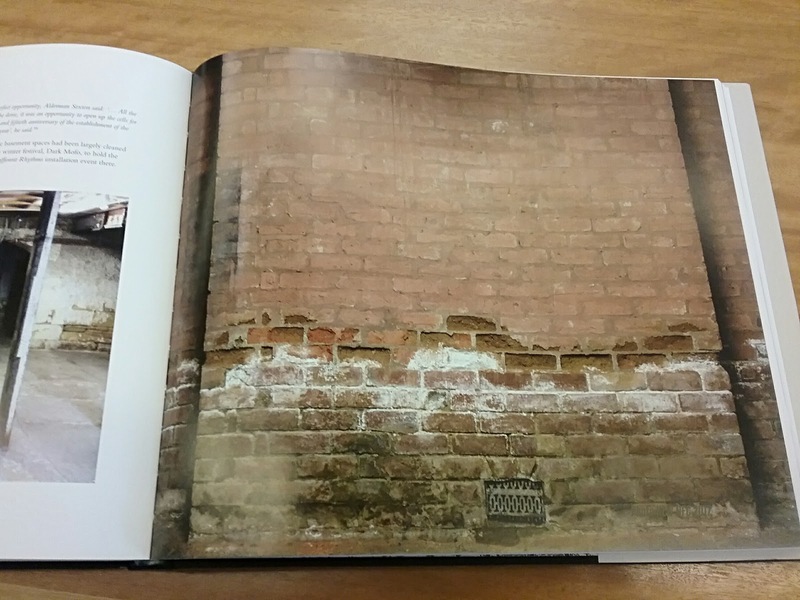 Wellington etc); for urban development within streetscapes; and for portraiture of HCC employees and families (eg. Constable McVilly’s children). From the Police Fund he was paid for the provision of prisoner identification mugshots and warrants as bailiff to detectives (e.g. Detective Dorsett), out of the costs of Printing, Stationery etc at the Municipal Police Office housed within the Town Hall. During the visit of Canadian renegade priest Charles Chiniquy in 1879 he was also paid for service as a Special Constable to the HCC. 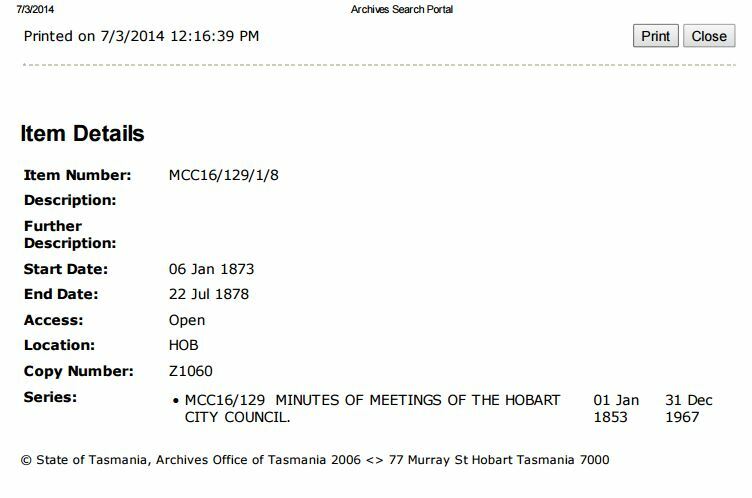 Information such as this which is found in the day to day memos and accounts of the HCC is missing from the research summoned by Freeman et al, relying as they have done on a “sober assessment” from the University of Tasmania’s History Department staff member Stefan Petrow, whose work on the history of the police in Tasmania to date appears to be both piecemeal and lightweight despite his singular claim to the niche. Petrow’s apparent acquiescence to the fantasy about prison commandant A. H. Boyd as THE photographer of prisoners peddled by his “student” – creepy, crude and uncouth Julia Clark in her ridiculous fantasy fake “thesis” (2015) – evinces a lazy complacency regarding Clark’s fraudulent use of these weblogs and her abuse directed at Thomas Nevin and his descendants. It’s a foolish decision which has led to a demand for his resignation and the revocation of the degree awarded to Clark in 2016. The police were very much a presence at the Town Hall until 1888 (e.g. 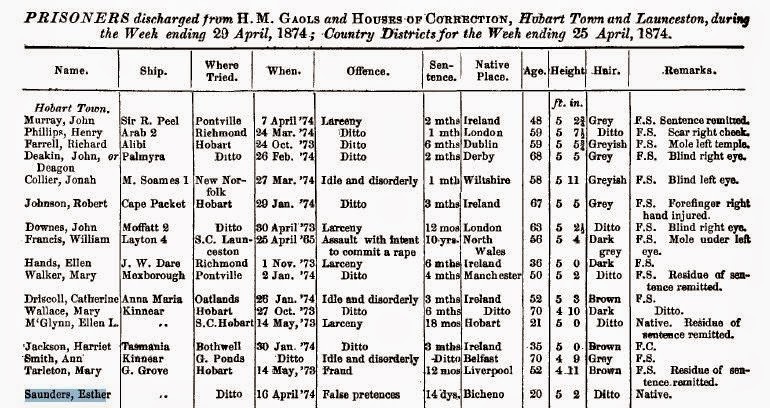 Centralisation of the Police, Mercury, 19 July 1888). Prisoners were detained in cells in the basement for a number of very obvious reasons: while awaiting arraignment, bail and sentencing at the Supreme Court for a serious crime, or appearance in the Magistrate’s Court for misdemeanours with a fine. Discharges were administered through the Mayor’s Court with a Ticket of Leave and other conditions. 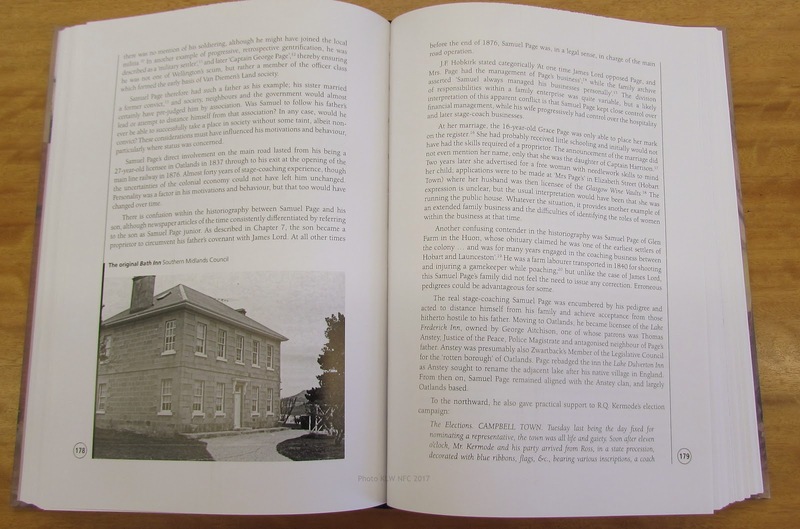 Some were kept in the cells for transfer to and from the Watch House located in the old Guard House opposite Franklin Square (since demolished), or for relocation from regional lockups including the Port Arthur prison en route to the main gaol, HM House of Correction on Campbell St. 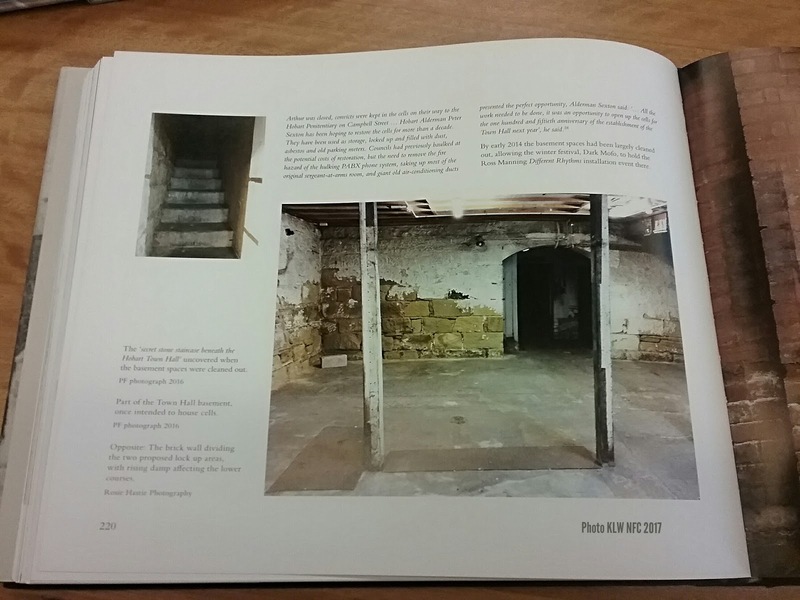 The “sober assessment” of these spaces and their functions, to use the term authors Freeman et al use for their preferred account from Stefan Petrow, dismisses the suggestion that the cells played any important role during the 1870s, and for special effect, the authors – drunk with laughter – ridicule the notion that the basement area might function as a present-day dark tourism attraction (pages 219-220). 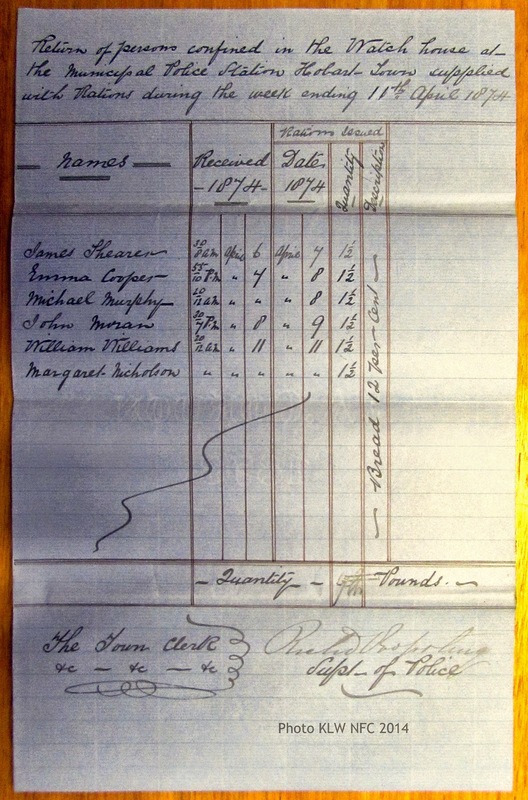 The records photographed here (at TAHO 2014) detailing rations supplied to prisoners held over in the cells at the MPO, Hobart Town Hall during a fortnight in April 1874 are the sorts of documents which have either been neglected or deliberately ignored by commentators on the history of the Municipal Police Office at the Hobart Town Hall, including those most recently discussed here in print – i.e. Freeman et al and Petrow (2016). 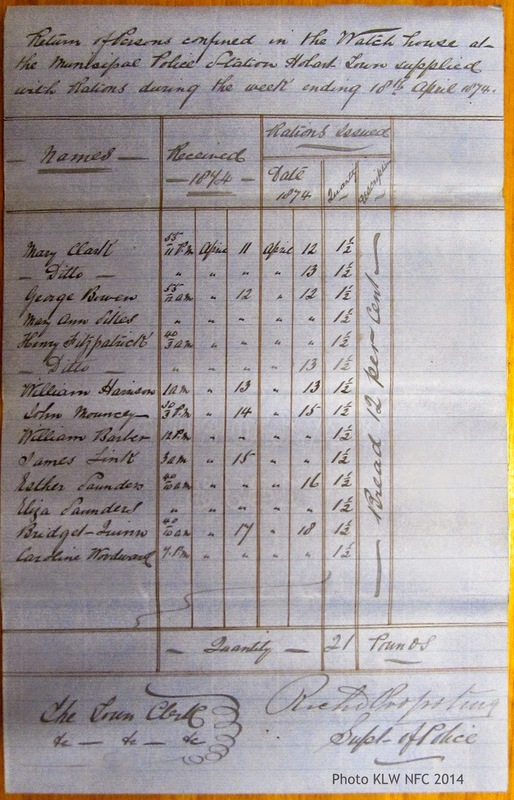 The following week ending April 18th, 1874, twelve new prisoners – six men and six women were being held in the MPO cells, listed in this Return of persons confined in the Watch house at the Municipal Police Station Hobart Town supplied with Rations during the week ending 18th April 1874. 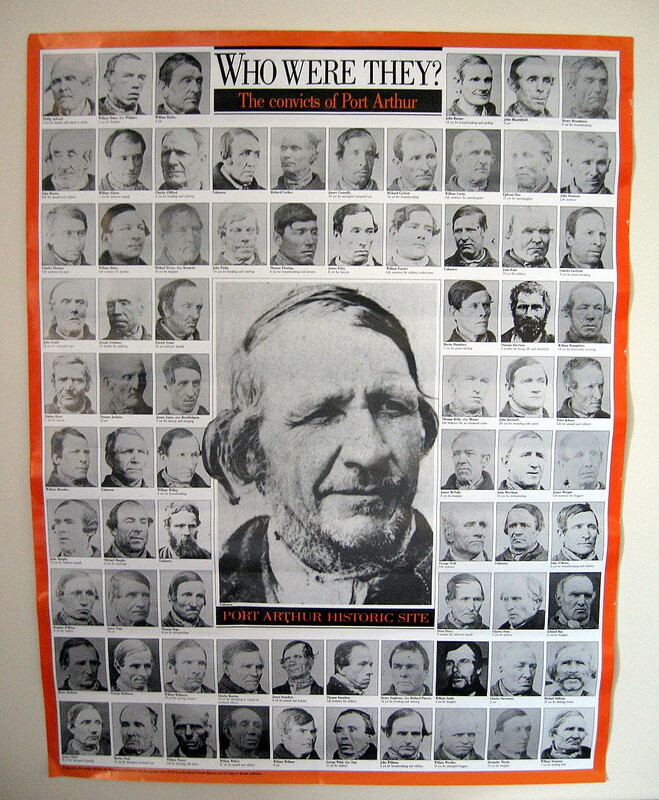 Some of these prisoners were repeat offenders whose photographs (if male), taken by Nevin, were already held in the Municipal Police Office at the Hobart Town Hall. 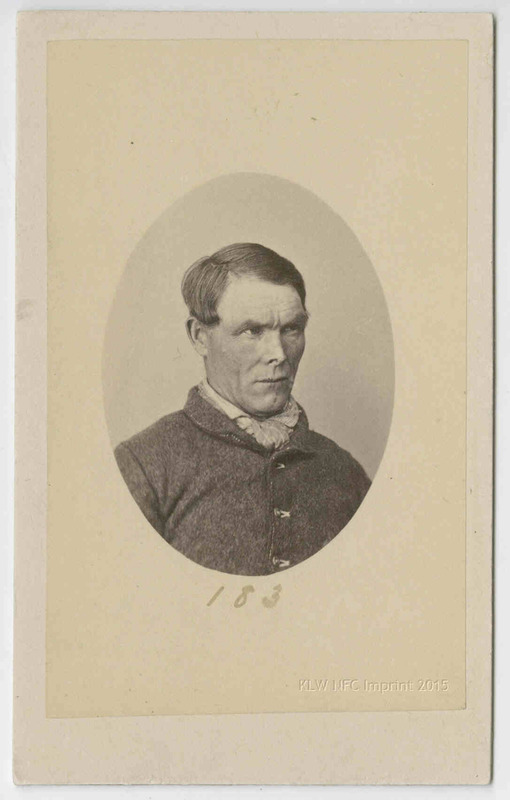 John Moran, 27yrs old, was tried at Hobart on 9th April 1874 for assaulting a constable, sentenced to one month, and discharged from H. M. Gaol Hobart during the week ending 13 May 1874. 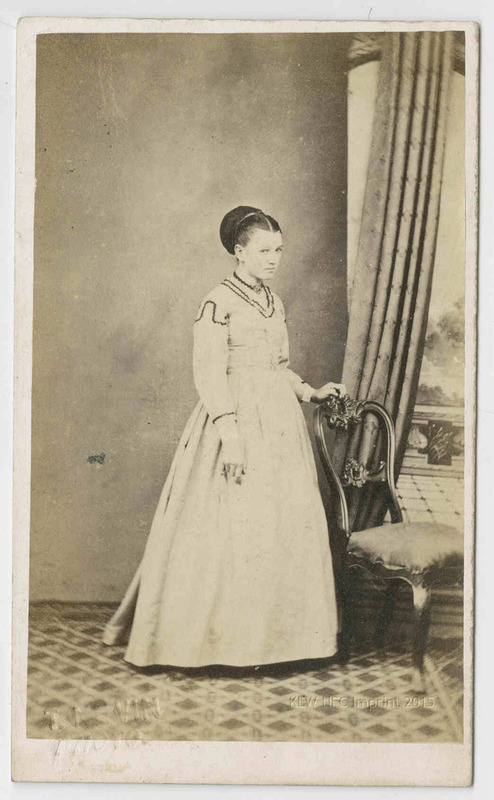 Esther Saunders, 20yrs old, was tried at Hobart on 10th April 1874 for false pretences, sentenced to 14 days, and discharged in the week ending 29th April 1874. 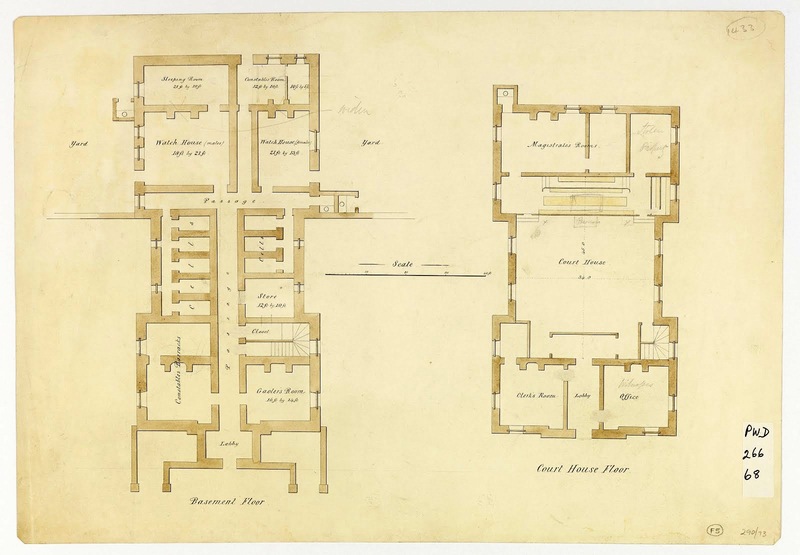 This was the plan for the cells and court, showing male and female cells below and the Magistrate’s Court above. The court was held in the Hobart Town Hall until centralisation in 1888.